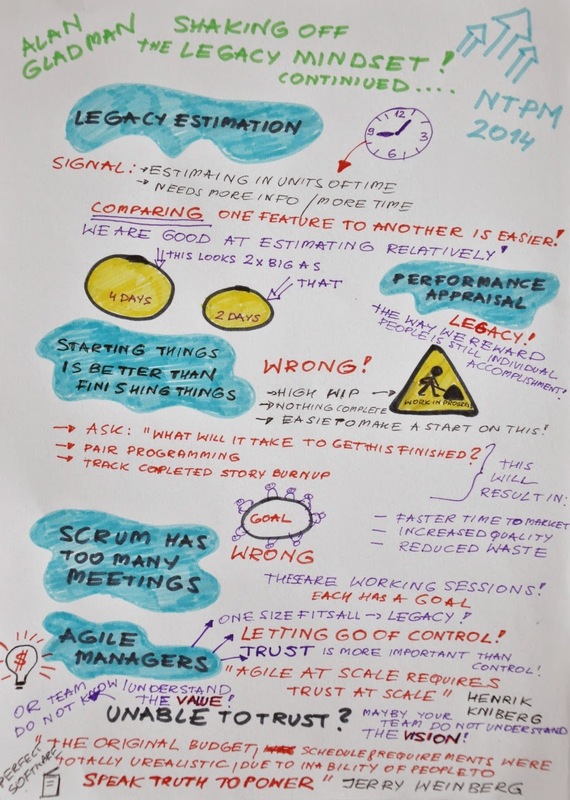 New Trends in Project Management 2014 – Part III: Shaking off the Legacy Mindset! Although New Trends in Project Management 2014 conference is over I still have a lot of to share. Previous posts covered Jorgen Hesselberg’s keynote speach on Agile enterprise transformation and Mike Rawlins’ interactive presentation on coaching cultures. 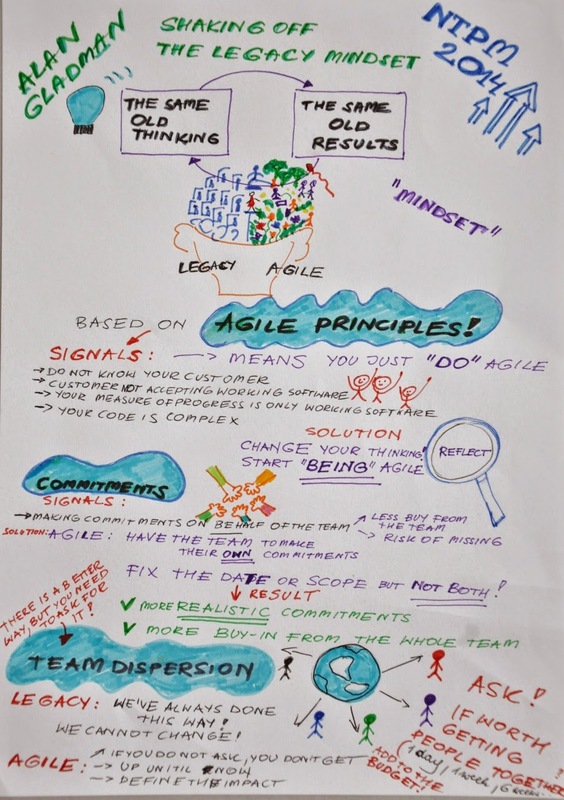 In this post Agile comes back with Alan Gladman’s advice on how to shake off the old mindset and become more Agile. Alan is an Agile Coach at Intel, recognized as an expert in the usage of agile methods in project management. Let’s start from the summary, a few take aways from Alan’s speach and then enjoy the drawings! Don’t “DO” Agile, BE agile. The same old thinking means the same old results, so shake off the old, legacy mindset and start the new way!